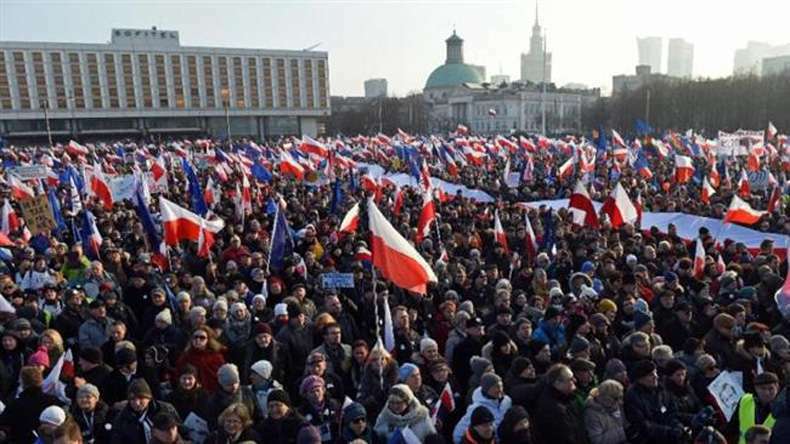 There were held thousands protest in Warsaw, near the building of The Sejm of the Republic of Poland after next year's budget was adopted without the opposition’s participation during this process. People demanded to talk with PiS leader Jaroslaw Kaczynski. The police used force against citizens, helping Jaroslaw Kaczynski to leave the building, because protesters blocked all exits and entries. Moreover, the opposition claimed that the police had even used tear gas. Meanwhile, the government accused the protesters of trying to overthrow the current power.